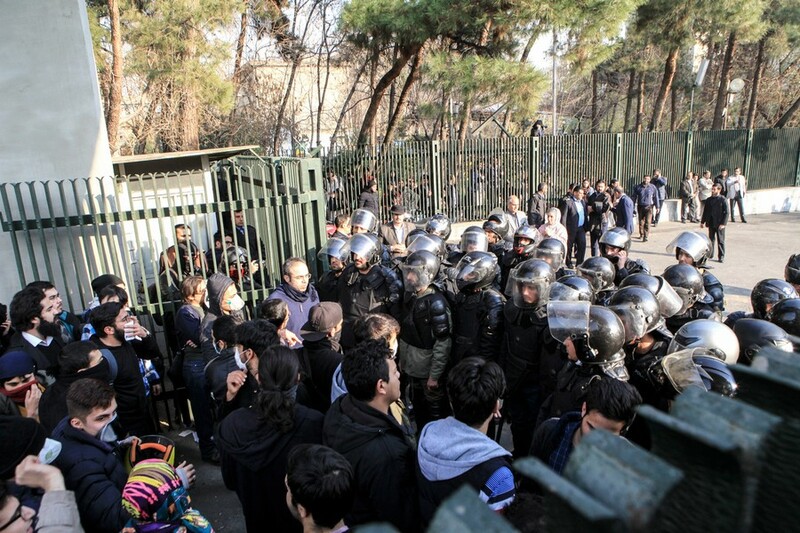 One officer was killed and three were wounded in the protests in Iran, Reuters reports, citing state media. It is understood that a “rioter” opened fire on police in Najafabad, although the timing of the shooting is unclear. 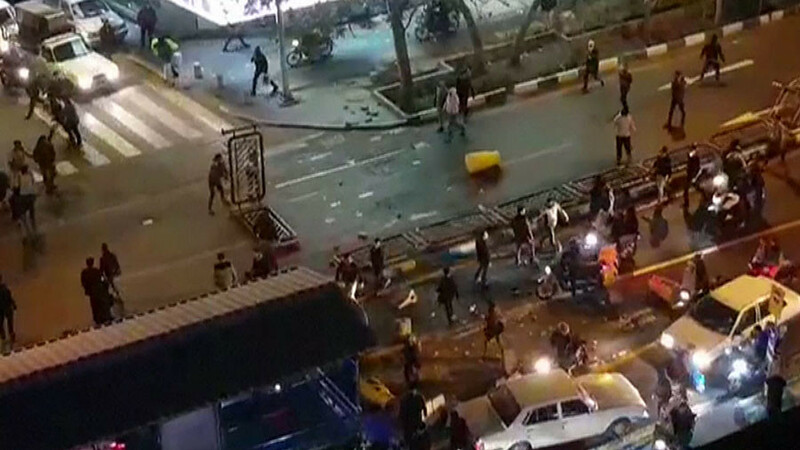 “A rioter took advantage of the situation in the city of Najafabad and fired shots at police forces with a hunting rifle,” Saeed Montazer al-Mahdi, a police spokesman, told the Iranian state broadcaster as cited by the news agency. He confirmed that one officer was shot dead in the incident and three more sustained injuries. 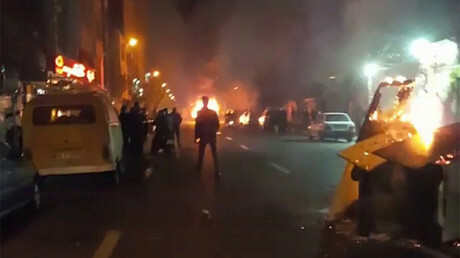 The shooting has resulted in the first reported casualties among Iranian law enforcement since the beginning of the protests, which have engulfed the Islamic Republic since December 28. Earlier on Monday, it was reported that the number of civilians killed amid the pro-and anti-government demonstrations has grown to 10. More than 400 people have been arrested in the protests, AFP said. Iran is still witnessing a wave of demonstrations, which are being held in many cities across the country. The protests initially began on Thursday, as people took to the streets to express their discontent over soaring food prices and unemployment. 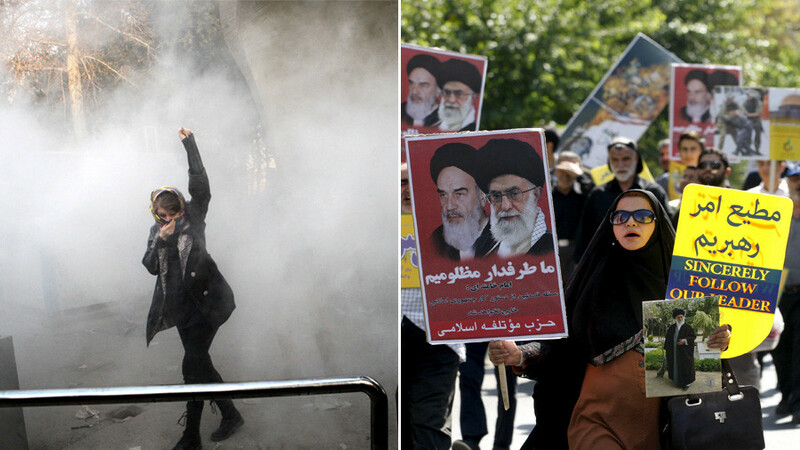 However, a number of the rallies soon turned into larger anti-government demonstrations as the crowds directed their anger at the Iranian government and Supreme Leader Ayatollah Ali Khamenei. The anti-government rallies were also countered by equally massive pro-government demonstrations. 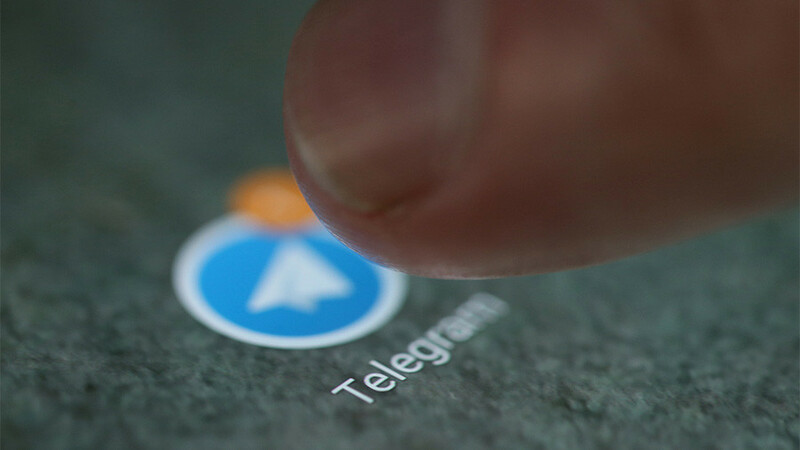 Actions in support of Iranian leaders were held in some 1,200 cities and towns across Iran, including the capital, Tehran, and the second-most populous city, Mashhad. 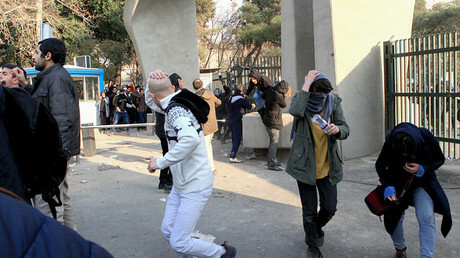 Meanwhile, Iranian President Hassan Rouhani said that the ongoing wave of protests may have been partially stirred up by external forces interested in destabilizing the Islamic Republic. 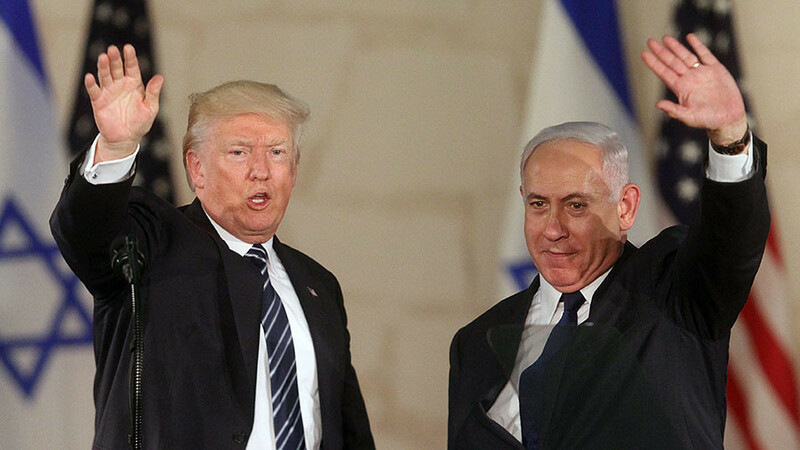 “The enemies of the Islamic Republic of Iran are angry with the glory, success, and the progress of the Iranian nation; and they have vowed to get the regional troubles into Iran,” he said at a meeting with chairmen of the parliament’s commissions on Monday, according to the Mehr news agency. He noted, however, that many people on the streets are genuinely expressing their concerns over existing difficulties, adding that the present situation is a “threat” that should be “turned into opportunity” by dealing with the root causes of the problems. 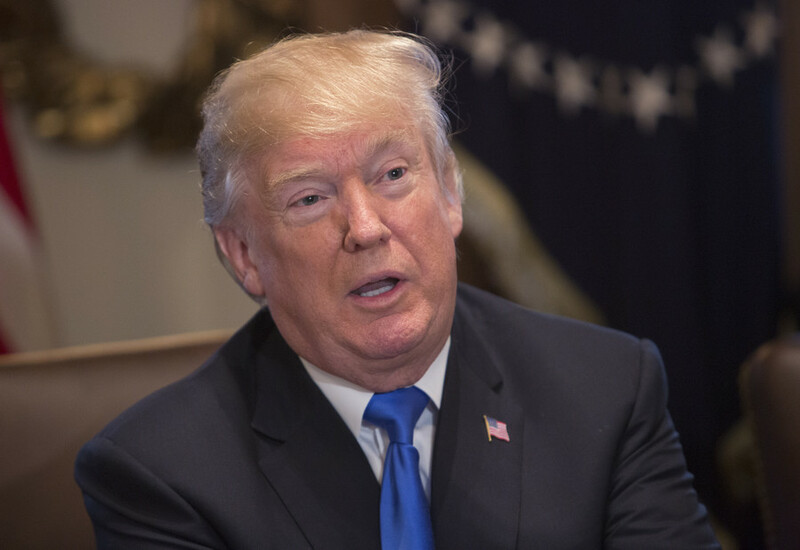 However, he said that Iran would counter “a small minority group” of rioters and outlaws seeking to exploit the protests and use them to harm Iran.